MORE POWERFUL ENGINE: For jobs that require extra acceleration and climbing power, the RTV-X1120D is the obvious choice. 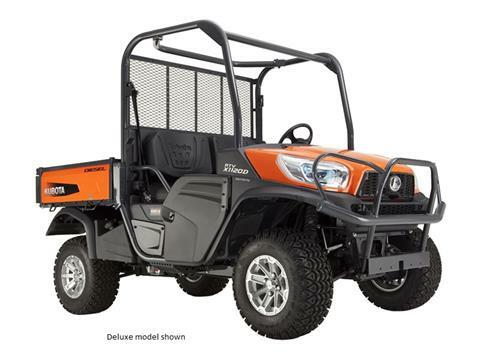 It packs Kubota’s proven 24.8 HP diesel engine, which provides a top speed of 29 mph and plenty of payload, towing and hill-climbing power. STRONG HIGH-RIGIDITY FRAME: The high-rigidity steel frame isolates the occupants from noise, vibrations and rough rides. With structural strength that few in the industry can match, this durable frame can take years of punishment from heavy loads and rough terrain. ROPS meets SAE, OSHA and ANSI standards.